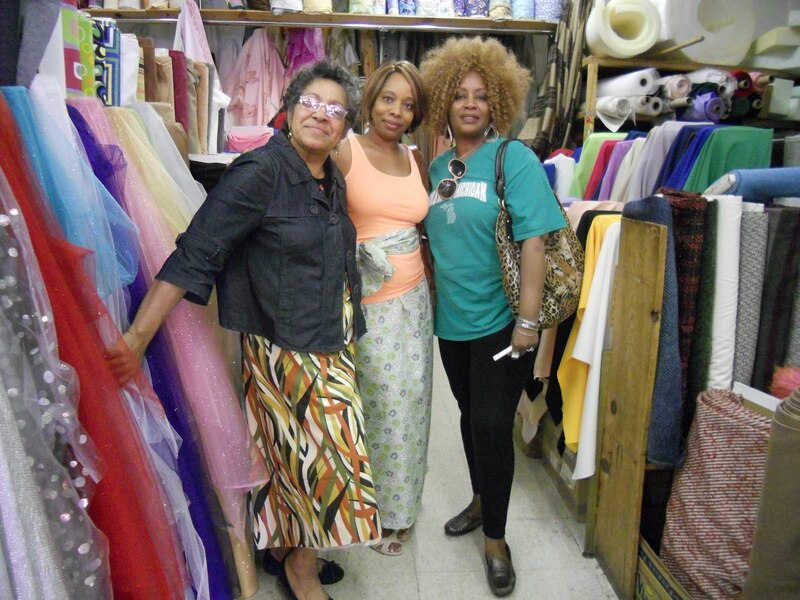 On Sunday, Andrea joined us and Sheila took us to fabric stores off the beaten path and we had a great time. 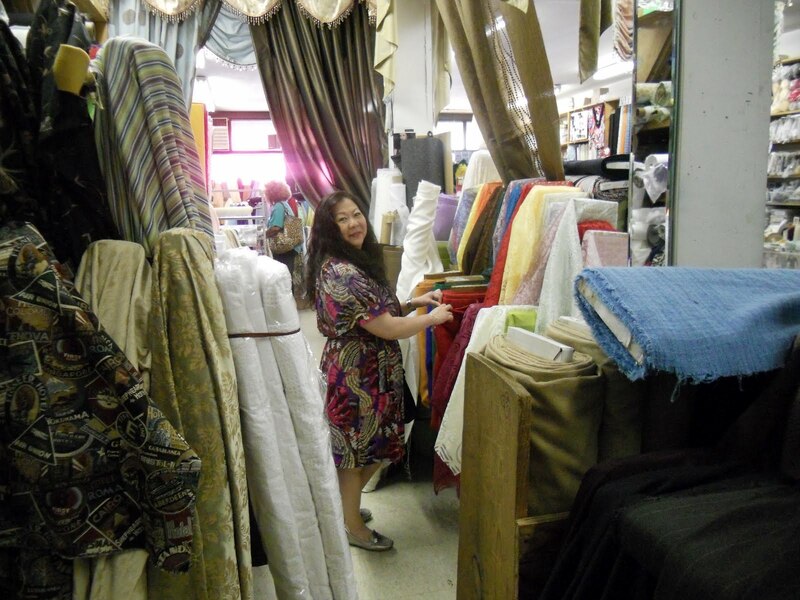 In the pic below Rosie is checking out the great fabric selection. Here is Rachelle and I with the store owner. She was a lot of fun. The weekend was a lot a fun. I got home around 6:30pm on Saturday and at 8pm my DD decided that she wanted to sew a maxi skirt. This was her first sewing project. 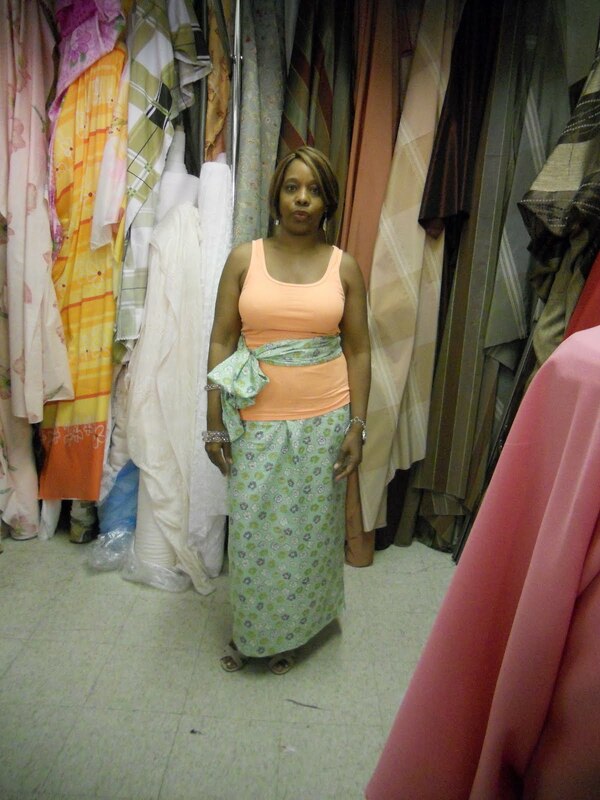 As a good mom I taught her how to cut and sew a simple maxi skirt, two hours later the skirt was done. I was exhausted, however I got up Sunday morning renewed and ready to go. I hope everyone had a great weekend. OMG Sheila - how much? Tell me you are kidding. I had a fantastic time with you ladies (as always)! I know you girls MUST have missed having me there. Looks like you had the most fantastic time. I finally found your blog.. It was nice seeing everyone on Saturday and it was good meeting you. 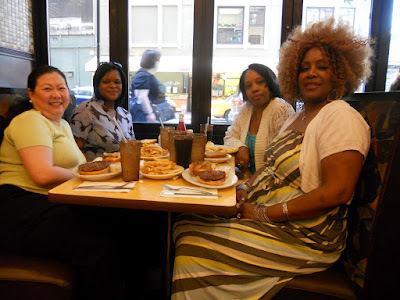 I know you guys had a blast shopping and hanging out. Faye we did miss you, ahhh we are going to have to do something about that. Opal I have been following your sewing adventures and it was really nice to meet you. Isn't it the best when you can share with other creative sewists? I love these types of get gatherings.